In 2003, hunting-related expenditures in Louisiana amounted to $599 million (LDWF 2005). In 2003, the Louisiana alligator harvest was valued at approximately $38 million (LDWF 2005). At this time we would like to open the nomination floor up to all members for new Board of Directors and officers. Any member in good standing can be nominated and serve on the Board. It is a three year term. The Board votes on the budget and sets the direction which the association will go for the year. The Board also seats the officers. We are a total volunteer group and we are begging for help at every turn. We have big ideas and many plans but without willing and able bodied people nothing will happen. If you are nominating someone other than yourself please insure that you speak to and receive that person’s permission. All nominations will be contacted before they are voted on to ensure they approve of their nomination. Please remember to bring donations for the auction. The live auction is always a fun time and this year we will have a kid’s corner auction. These will be items that only kid’s 18 and under will bid on. We will also have a kid’s only silent auction. We are trying to change things up some this year and hope to have something for everyone. So please make plans now to stay for the auction. This year we will have a 65’x 20’ inflatable obstacle course for the kids. We will be holding trapper’s races in this obstacle course for many age groups (young and old). After last years event several of older members in the race were hurt, bruised and crying. Since I am writing this letter know that Tony Howard was not one of them. You have all your proper paper work to ship fur. On March 7, 2016 Tony Howard, President and Ryan Schaefer, Secretary were asked to meet with representatives from the Wildlife Division of the Louisiana Department of Wildlife and Fisheries (LDWF) in New Iberia. In the meeting LDWF asked the LTAHA to officially request help and finical support from the Department through the Fur Advisory Council (FAC) and begin a joint venture on trapper’s education in the state. There was much discussion on the content and format of such education including the ability to secure competent and willing volunteer instructors for the hands on level classes. The goals of this education program are to ensure that new trappers would have training on the ethics, moral responsibly and laws of trapping to give them the educational material with which to promote the trade in the public in a positive way. It is also to cut the learning curve by introducing new trappers to equipment and equipment usage through a class room setting instead of by trail and error. Tony Howard is promoting an on line course which could be taken by trappers with a paper version available if needed. This on line course would cover the Best Management Practices (BMP) which is already published and ready for use at little to no cost. The on line course would be self instruct and could be taken at the trappers own pace. This class would be much like the boater safety course already in place. If such a class is put into place we have asked for records to be kept and certificates to be issued for completion. The question being asked of the LTAHA is two fold. Number one who would be willing to volunteer to become and instructor and teach a hands on trapping class under the guide lines set for by the coalition of LTAHA, FAC and LDWF at two events per years? 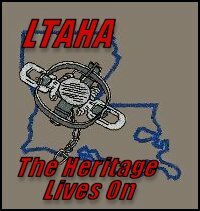 Number two does the LTAHA wish to move forward with a standard format trapper’s education program which has our input?